Mildly nudging the accelerator or coaxing the steering wheel of the Lamborghini Huracán whips my neck in the opposite direction. Fine, that might be a slight exaggeration, but there’s no denying the powerful reaction that each action yields, as well as the handprints of sweat that I leave on the leather steering wheel. While nothing quite prepares you for driving a Huracán, nothing hits you like its heart-stopping interior – entirely customisable hand-stitched leather upholstery, menacing angles and futuristic flip switches for everything including hazard lights. 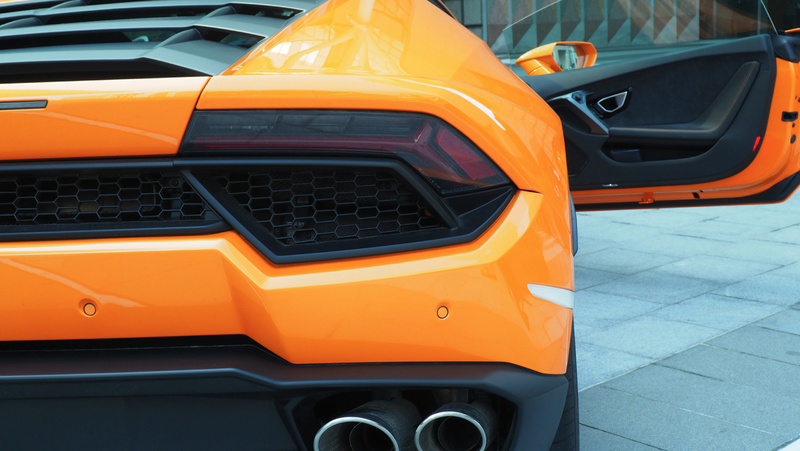 Lamborghini buyers say that what separates this premier Italian product from other sports cars is emotion. Putting a Lamborghini’s throttle to the test is a dramatic experience that sweeps one off his feet, and there is no better epitome of this than the rear-wheel-drive (RWD) Huracán. While the all-wheel-drive (AWD) Huracán (602hp) might appear more intimidating on paper, the sports car cognoscenti agree that the RWD (571hp) is more responsive to every subtle action of its master. Belting Lamborghini’s unmistakable high-pitched battle cry at a volume much louder than that of the AWD variant, the RWD has a well sound-proofed cockpit that lets its driver concentrate on taming a beast that is seemingly possessed – first-time Lambo drivers agree that trying to control one is a hair-raising experience. What place do supercars have in the concrete jungle though, especially in Asia where infamous traffic jams are the great equalizer? 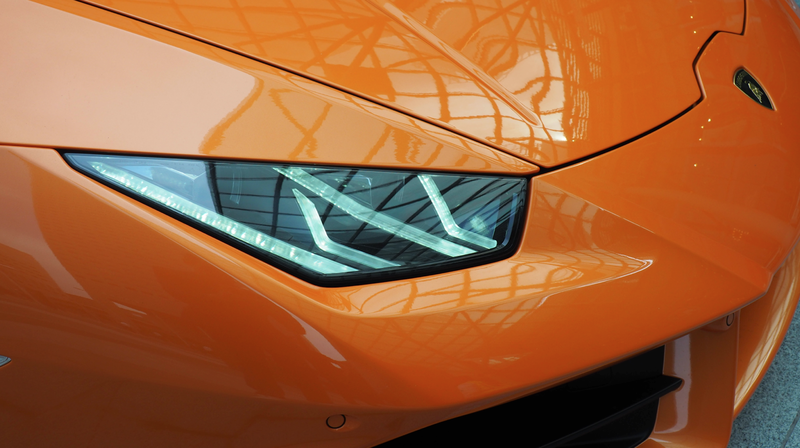 Engineering a masterpiece that would negotiate busy roads effortlessly was the Italian carmaker’s intention with the Huracán, named after a legendary Spanish bull that withstood many a bullfight. It even fits most public parking lots, one-lane carriageways and drive-thrus. This steed’s driving modes ascend from strada ( ‘street’) to sport, and culminates with corsa, the latter of which unleashes the full potential of the kraken and requires manual gear changes, which are thoughtfully cushioned by a double clutch mechanism. 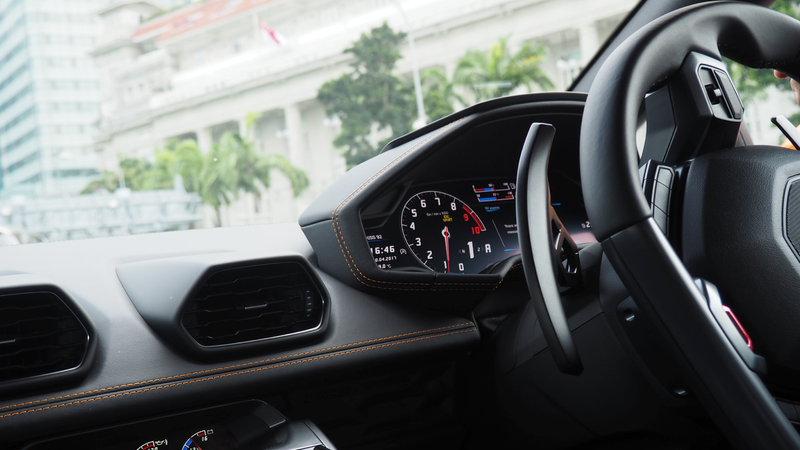 Lamborghini drivers might be constrained by Singapore’s stringent speed limits, but they are liberated by the Lamborghini Club’s regular drives up to Malaysia and Thailand. Nonetheless, pushing its 10-cylinder engine to sprint from stationary to 100km/h in about three seconds on local roads is nonetheless exhilarating. Helming a Lamborghini is comparable to riding a rocket, especially when its immense engine is sheathed in carbon-fibre scales right behind the driver and shotgun passenger, where a sedan’s back seats would be. 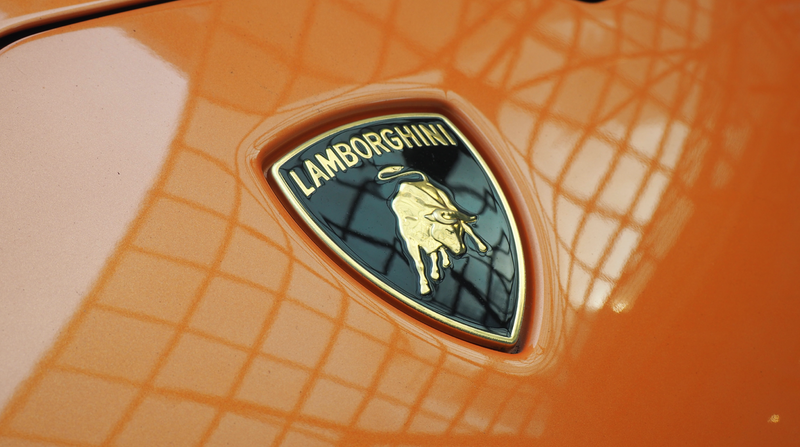 Lamborghini is a last-man-standing of sorts: While other sports cars have switched to twin-turbo systems, Lamborghinis are still naturally aspirated. While the Aventador is Lamborghini’s most expensive ware, the Huracán has emerged as one of luxury automation’s most talked about and sought after offerings, doing its predecessor the highly favored Lamborghini Gallardo proud. While Lamborghini’s Aventador SV and Aventador S retail at around SGD1,888,000 and SGD 1,498,000 (before COE and customisation options are factored in), the Huracán RWD and AWD are priced at SGD798,000 and SGD898,000. Sure, the wicked architecture and vaunted roar of the Lamborghini Huracán are bound to get you eyeballed – pedestrians were raising their smartphones to take pictures everywhere we went on this drive. 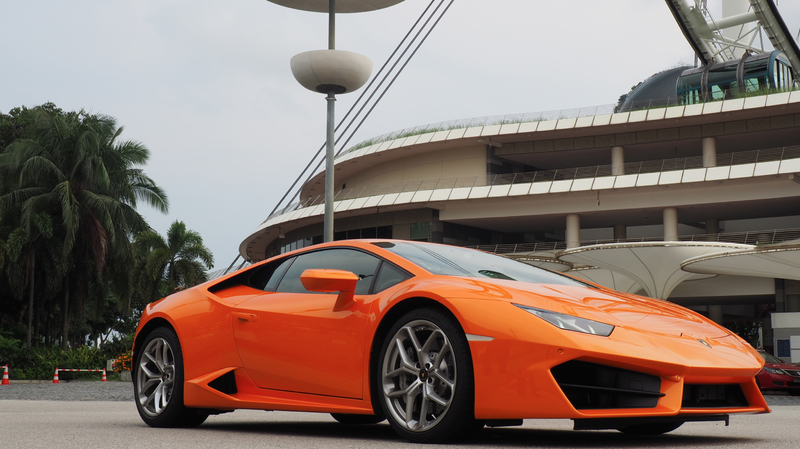 Beyond the Lamborghini Club membership and state-of-the-art engineering, a Lamborghini driver pays for the status of owning one, and the Huracán lets its owner present his raging bull badge in the urban arena, in tasteful, practical fashion.